Story: The story of the monumental life and tragic death of legendary Brazilian motor-racing Champion, Ayrton Senna. Spanning the decade from his arrival in Formula One in the mid 80's, the film follows Senna's struggles both on track against his nemesis, French World Champion Alain Prost, and off it, against the politics which infest the sport. 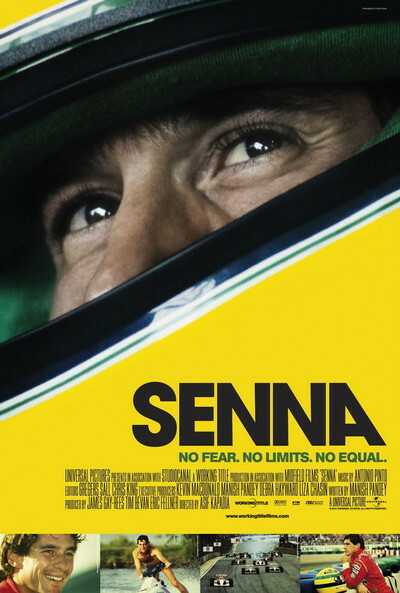 Sublime, spiritual yet, on occasion, ruthless - Senna conquers and transcends Formula One to become a global superstar. Privately, he is humble, almost shy, and fiercely patriotic, donating millions to his native Brasil and contemplating a life beyond motor-racing. Yet he is struck down in his prime on the blackest weekend in the history of the sport, watched live on television by 300 million people. Years on he is revered in Formula One as the greatest motor racing driver of all time - and in Brasil as a Saint.